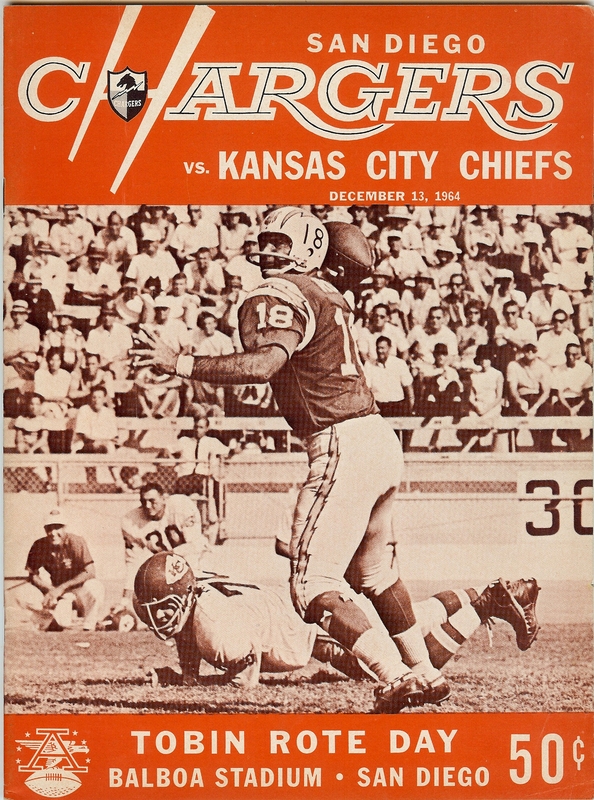 As if nodding towards the notion that the AFL was a league based on offensive rather than defensive football, the American Football League succeeded in having not one or two, but rather three Most Valuable Player Award recipients in 1963, and all played on the offensive side of the ball. San Diego Chargers flanker, Lance Alworth, established himself as legitimate pass-catching threat in 1963, his second year in the league. 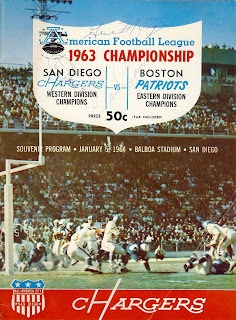 Alworth bounced back from an injury-shortened 1962 campaign by playing a full 14-game schedule in ’63, and helping to lead the Chargers to victory in the league championship game. 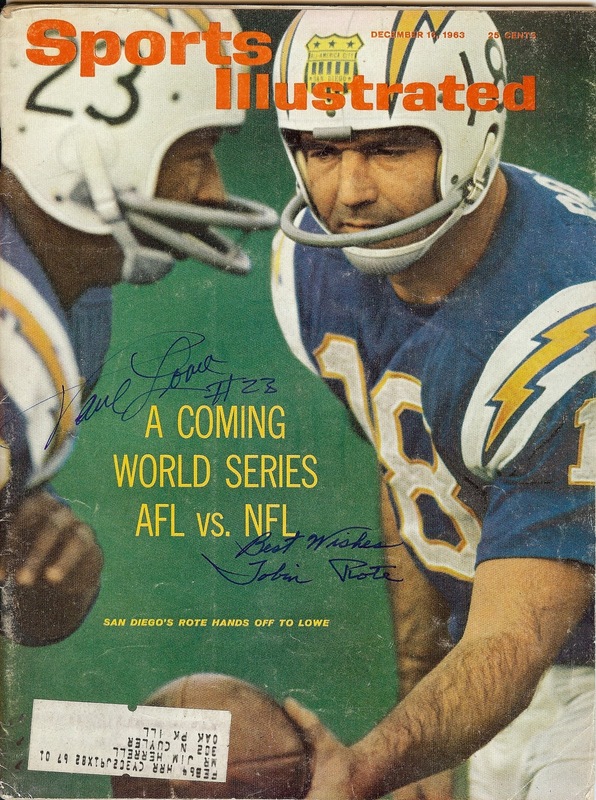 Among Alworth’s statistics for 1963, were 61 receptions for 1,205 yards and 11 touchdowns. He also returned 11 punts for 120 yards – a 10.9-yard-average. 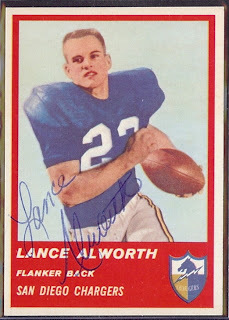 The United Press International selected Lance Alworth as their AFL Most Valuable Player. Someone had to throw all of those passes to Lance Alworth in 1963, and the majority of them came from veteran quarterback, Tobin Rote. 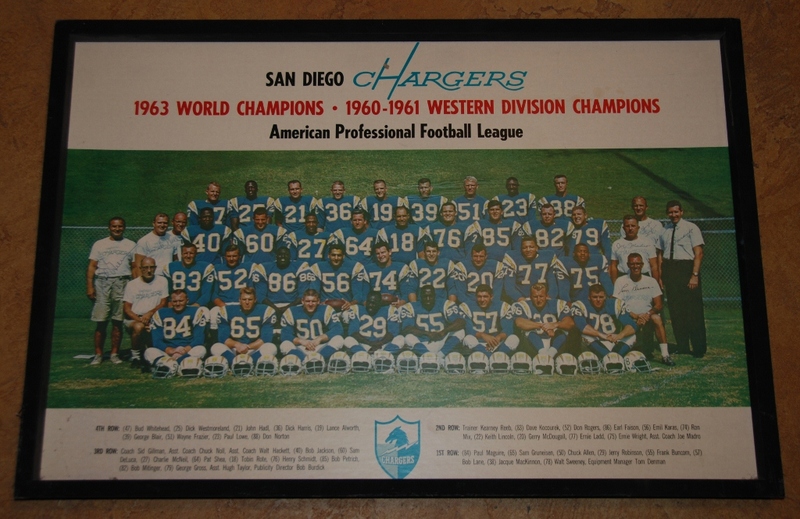 Rote came to the Chargers in ’63, after spending successful years in the National and Canadian Football Leagues. He added veteran leadership to a young Chargers team, and guided them to their lone AFL championship. Tobin Rote completed 170 of his 268 passes, for 2,510 yards and 20 touchdowns. His 59.4 completion percentage and 8.78 yards-per-attempt average were both tops in the league. 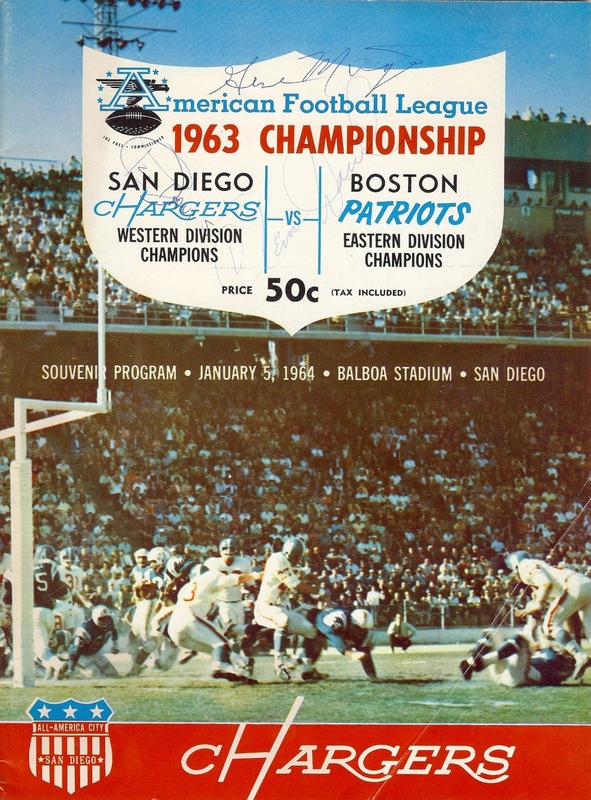 But the pinnacle of his many successes in ’63 was his implementation of Sid Gillman’s masterful game plan in the championship game, which led to a 51-10 Chargers victory over the Boston Patriots. 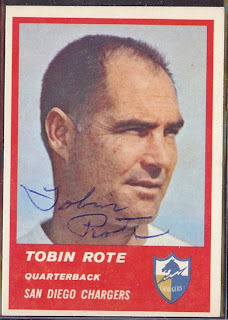 Tobin Rote was voted the AFL’s Most Valuable Player by the Associated Press. Under the guidance of rookie head coach, Al Davis, the Oakland Raiders went from a 1-13 record in 1962, to finishing 10-4 in 1963. 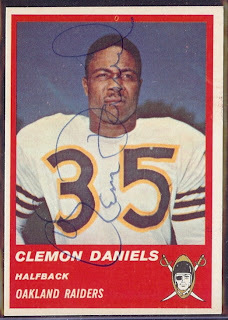 The man that was the focus of the Raiders running game was halfback Clem Daniels. 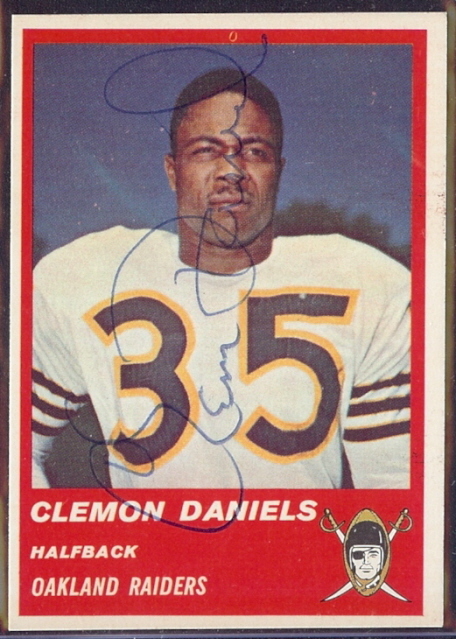 Daniels not only led the AFL with 1,099 rushing yards in 1963, but he averaged an awesome 5.1 yards-per-carry, and 22.8 yards-per-reception as well as hauling in 30 passes for 685 yards, and scoring eight touchdowns. Clem Daniels was Named as the AFL’s Most Valuable Player by The Sporting News.